The first and biggest Bellydance museum online! UNIQUE BUSINESS PROPOSITION!!! START THE PHYSICAL BELLY DANCE MUSEUM * CONTACT US ON STIEF@EMAIL.COM. "Intolerance" one of the first feature movies ever featuring oriental dancing of 1916 by D.W. Griffith. Want to make a original business? Start the physical BELLY DANCE MUSEUM! Belly dance has evolved in many different countries through different ways and little is preserved to give an idea how it was centuries ago. This collection has pieces as old as 1714, probably the earliest account on printed paper. The very first Oriental dancer the Egyptians have known was "Shooq". She's reached the climax of her career in 1871 and starting from Shooq many Egyptian Belly dancers have successfully followed her footsteps. One of her successors was "Shafiqah Alqebtieah" whom later has become the Icon of the Oriental dance that remains in the Egyptian memory. 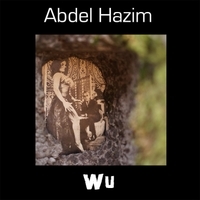 Badia Masabni, Hekmet Fahmy, Beba Ez-eddin, belly dancer and Egyptian freedom fighter for the Arabic revolution, Amina Mohammed, Tahieah Karryoka, Samia Jamal, Hajar Hamdy, Naima Akif (updated), then came Najwa Fouad, Nahid Sabri, a lesser known oriental bellydance superstar, Suhair Zaki and Farida Fahmi, the queen of Egyptian beledi. Best essay writing service - https://zessay.com - hire an expert writers online. Hire a college paper writing service to get your papers done.